The RTB Bartow County, GA Chapter is located in the quaint town of Adairsville, Georgia, nestled in the foothills of the Appalachian Mountains. 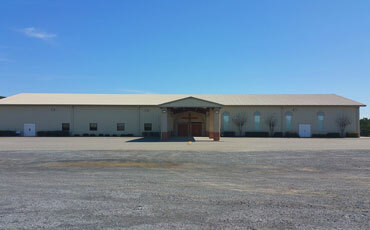 Just minutes from I-75, NorthPointe Church is centrally located between Gadsden, Alabama; Chattanooga, Tennessee; and Atlanta, Georgia. The RTB Bartow County, GA Chapter is excited to bring RTB’s testable creation model to northwest Georgia and surrounding areas. Our goal is to demonstrate that God’s general revelation from nature and God’s specific revelation from Scripture can never be a conflict because God is the author of both.